Stream David Rawlings' New Album, 'Poor David's Almanack' With the help of longtime partner Gillian Welch, Rawlings assembles a sweetly engaging, impressively wide-ranging collection of American roots music. Gillian Welch and Old Crow Medicine Show are among the guest stars on Rawlings' new album. David Rawlings has made a career out of a sort of unassuming generosity. Though he's led his own band, the Dave Rawlings Machine, he's spent much of his adult life supporting the work of bigger names like Old Crow Medicine Show, Bright Eyes and Ryan Adams, who co-wrote "To Be Young (Is To Be Sad, Is To Be High)" with Rawlings. And, of course, Rawlings has played, sung and written alongside Gillian Welch — they've recorded eight albums together, including modern classics that bear her name, like Revival and Time (The Revelator). 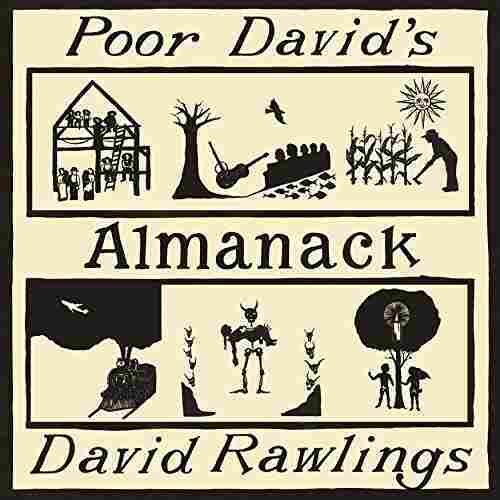 Poor David's Almanack is their third collaboration to give Rawlings top billing, after Dave Rawlings Machine's A Friend Of A Friend and Nashville Obsolete. Like those albums, this one steers the spotlight in his direction, while still showcasing the pair's almost supernatural chemistry. As a general rule, while Gillian Welch records can sound spare to the point of barrenness, Rawlings' songs are more inclined to fill the space around his voice. Poor David's Almanack follows suit with a sweetly engaging, impressively wide-ranging collection of American roots music. With the help of a long list of co-conspirators — including Dawes and Old Crow Medicine Show — Rawlings sounds equally adept at stark ballads ("Airplane"), sweet old-time folk songs ("Good God A Woman"), string-infused Americana ("Midnight Train") and sly, banjo-forward rave-ups ("Money Is The Meat In The Coconut"). The common thread is the love at their core.